In the wake of the passage of House Bill 2, an onslaught of liberal interest groups, the media and celebrities attacked the North Carolina GOP legislature for its common sense bathroom policy. The preponderance of negative and fake information online regarding the issue proved to be a threat to the North Carolina Republican Party keeping its super-majority in the State House. The NC GOP sought to develop a website that would serve as a digital hub for providing accurate and resourceful information regarding House Bill 2, and allow people to donate to support the party for their courageous stand. Resource information was especially needed to allay concerns of suburban women in the Charlotte and Raleigh areas, who were constituents of key suburban GOP legislators. Arc 3 Communications developed a website dedicated to the issue of House Bill 2 branded “Keep North Carolina Kids Safe” that had in-depth information regarding the new policy. The website included FAQs, an explanatory video, op-eds, and the latest news stories from across the country regarding the issue of transgender and single gender bathroom policy. The website also included powerful stories from women who courageously spoke out why it was important to have a single gender bathroom policy in state buildings and schools to protect women and children from sexual predators. All content on the site was easily able to be shared on social networks and it became a digital hub for the effort to fight back against the liberal media online. The website was a digital hub that stayed the test of time throughout the intense debate online regarding the bathroom policy in North Carolina, which included distributed denial of service attacks on several North Carolina government sites by a hacker associated with Anonymous in protest of House Bill 2. 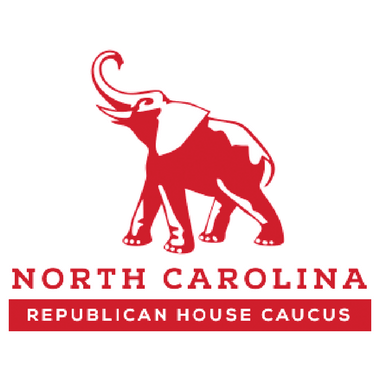 The site was a valuable resource for the North Carolina State House Republican Caucus Members who provided credible third party information regarding the bathroom policy issue to their constituents and alleviated their concerns. The website’s content consistently ranked high on Buzzsumo’s social sharing content rankings for most shared content regarding the issue each week. The North Carolina Republican Party was able to leverage the site to get a substantial number of new email subscribers and donors to the party to support its fundraising and electoral goals. In the end, the NC GOP House Caucus was able to re-elect key members in suburban districts and keep a super-majority.